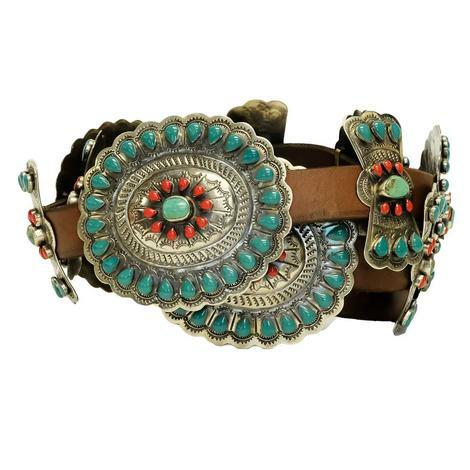 This artisan delight is comprised of genuine turquoise stones varying in size and hue in a sweeping ellipse of southwest style and allure. 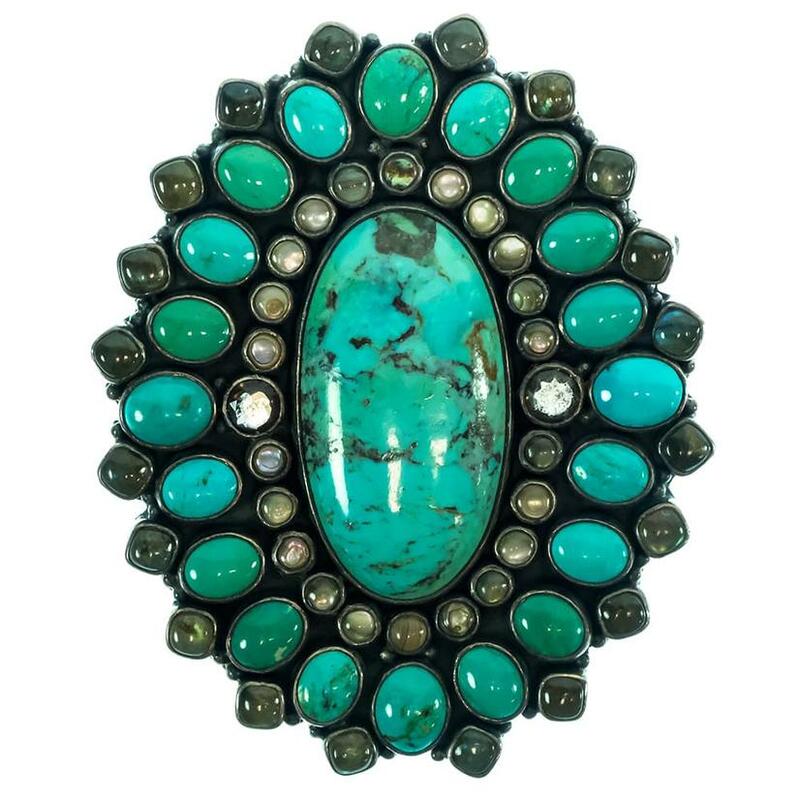 Precious stones and crystals are incorporated in the stunning creation, centered by a single robin's egg blue and crackled turquoise stone. 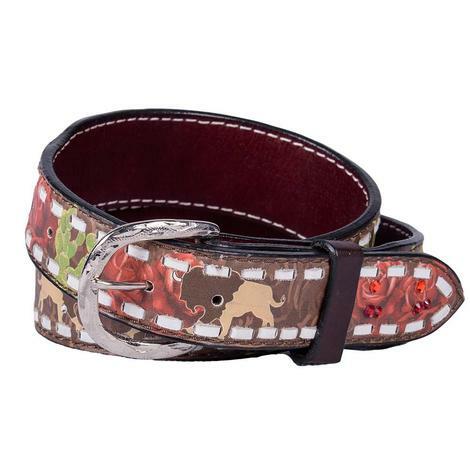 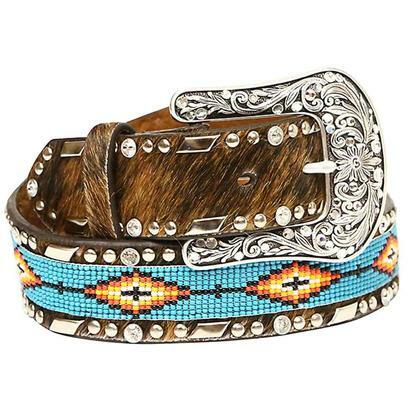 A tastefully simple tan leather belt encircles the waist and pulls together a fabulous statement in fashion and complexity.